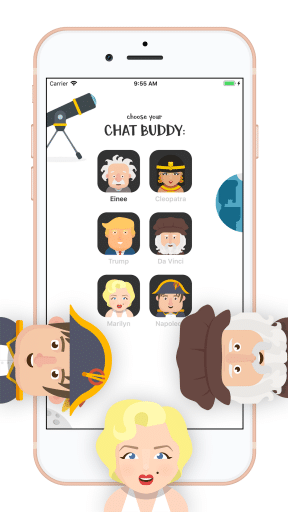 Einee is a learning app for kids that answers the question: what would it be like if I could talk to a famous historical figure? Now they can find out. Tease Einstein for failing at school, ask Donald Trump about the wall, or learn about Egypt from Cleopatra! 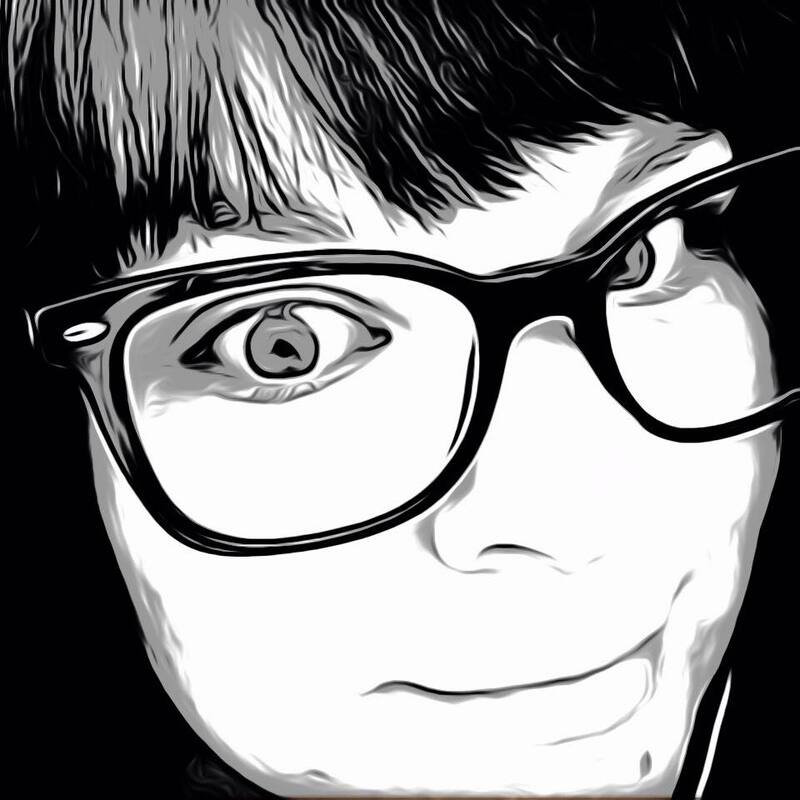 Talk to cartoon versions of famous real-life people. Einee is made to be goofy and fun. Learn about their childhood, life in their days, and get to know people you never could before. The app opens with six people listed and the option asking to choose a chat buddy. It says chat because this learning app is built like a chat application. Instead of speaking to the character with their voice, the kids message them as they would to a person they were texting or chatting with. 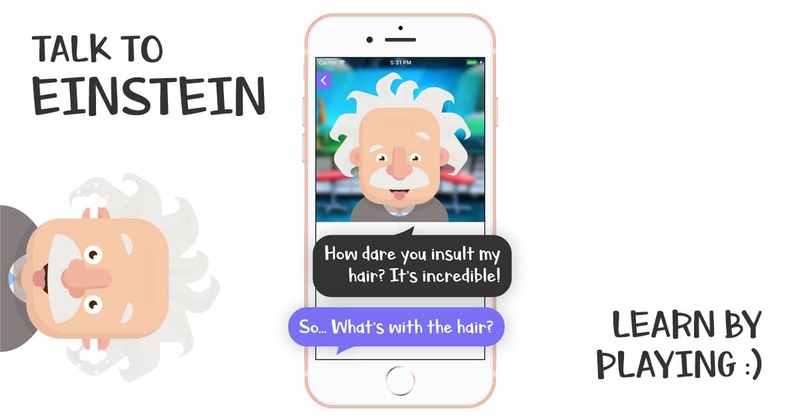 Choosing Einstein’s cartoonish character to chat with, there are three pre-loaded questions to start with on the screen to ask him. Questions like, “Who are you?”, and “What is something you invented?” Einee will answer and also react to all of the questions. There are also some fun and silly animations and sounds when tapping on his face. The questions stay fun and geared toward a younger audience, but are also informative. Kids may not know that there were female rulers in Egypt, and Cleopatra is a great person to tell them all about it and much more. Childrens’ school education introduces many kids to these type of figures, but mostly highlight what their main accomplishments are and don’t really dig into who they really were. This learning app is a great way for kids to reinforce their school education but feel more personable. The learning by playing always seems to be the best way for kids to absorb material, especially when it comes to history. It also shows their parents what they may be most interested in when they see which questions they select. Are they more curious about Einee’s hair or his theories? I love free learning apps like this because they are what turns electronic devices into more than just entertainment machines. My five-year-old and I had a lot of fun playing Einee and we both learned something as well. 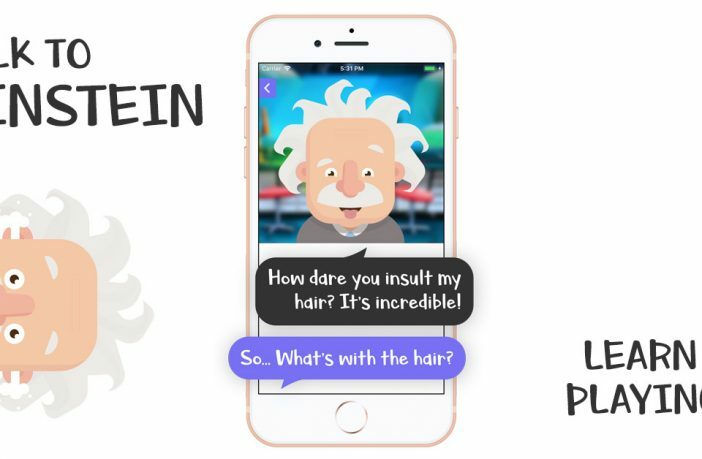 Einee is a free app and Einee, or Einstein, comes free. Unlock others like Donald Trump, Leonardo Da Vinci and Napoleon for $0.99 each. I hope to see even more interesting characters pop up in the future. The app is available now for free in the App Store and is compatible with the iPhone and iPad. You can also get it on the Google Play store for Android.